There are 2 bungalows close to the swimming pools, the ocean and the restaurant. 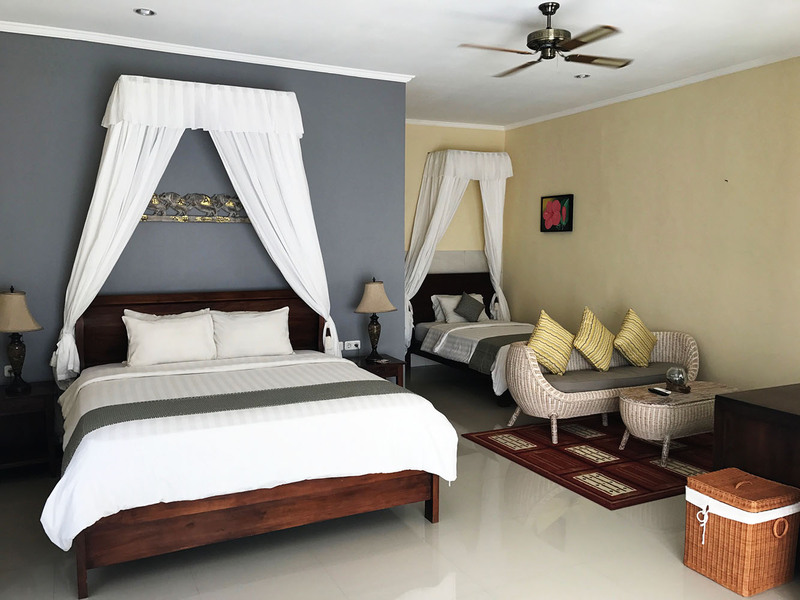 The bungalows are a popular choice to many Puri Wirata Dive Resort and Spa guests. 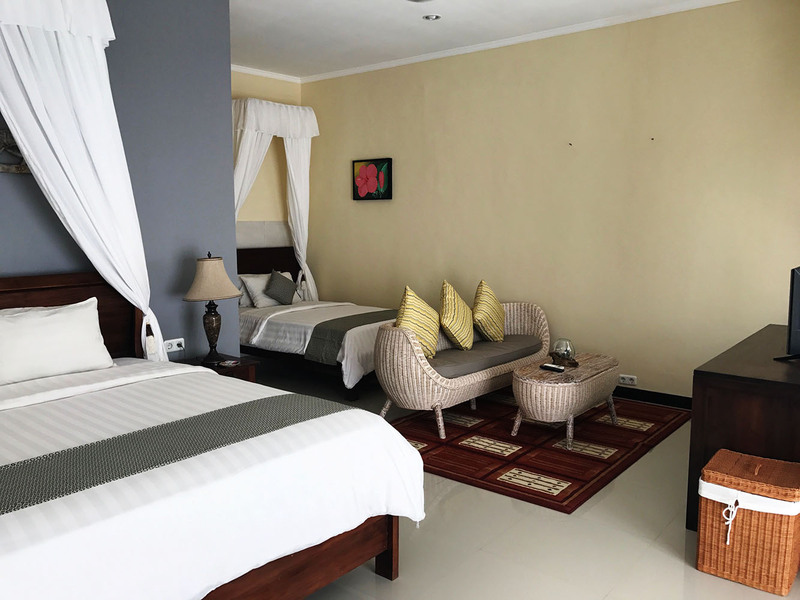 It comprises a spacious room with Balinese decorations and en suite bathroom with walk in shower. 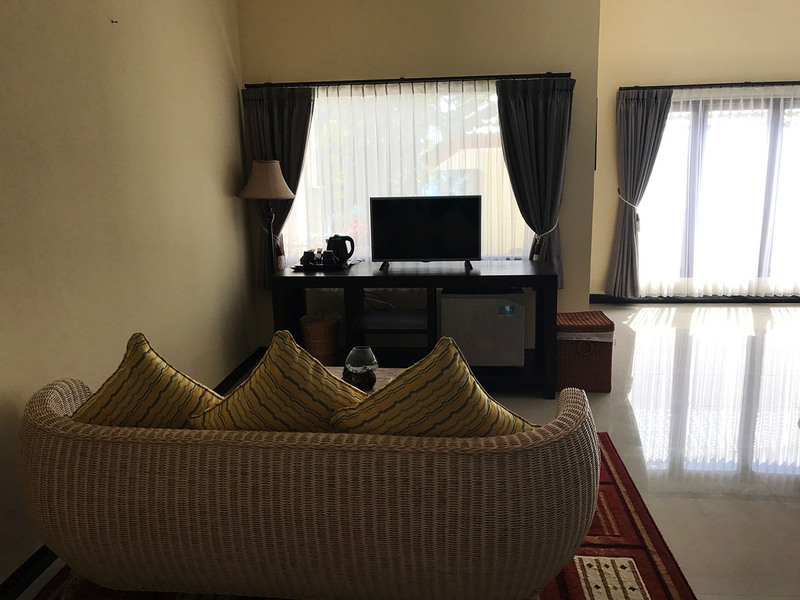 Each bungalow has a Double and a single bed, so is suitable for 3 people. Finished renovation on 25 April 2017! 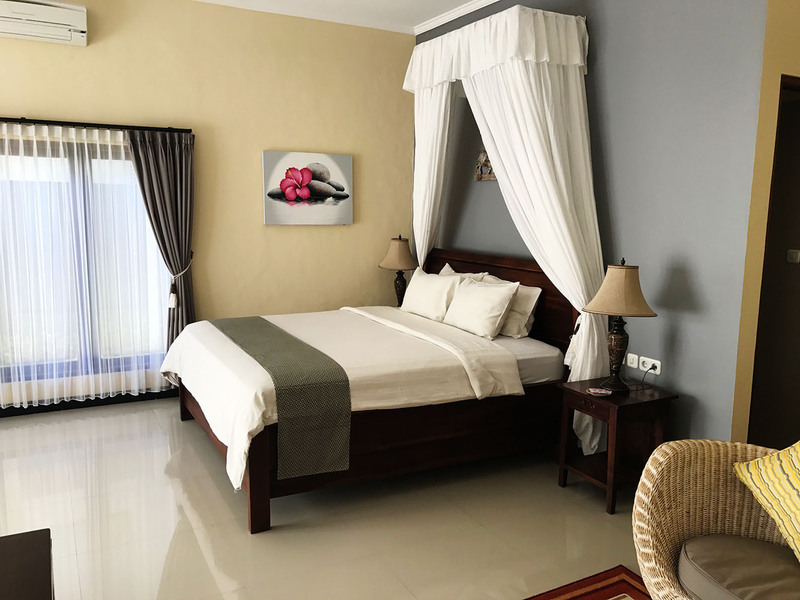 Roomrate is for 2 people and includes breakfast.